If there’s one thing that Uncle Sam knows, it’s how to make a good sandwich. And that is what you get at Pickle & Rye, an eatery in Sheen Lane run by two Americans who are passionate about good food. As any traveller will tell you, the US of A is not just about McDonalds and Kentucky Fried Chicken. Its deli-style sandwich bars serve up the most amazing and tasty ingredients ever, crammed between two or three slices of bread. “We thought such a place would work here in England as long as we produced a good quality product,” said Valerie Minor who runs Pickle & Rye with her husband, Alex. Chef Alex’s insistence on the best ingredients led the couple to cook their own salt beef and make their own dill pickles. This same attention to detail can be found in every one of the 9 sandwiches on their Classic Menu, ranging from the New York style Salt Beef Reuben, served with sauerkraut and Russian dressing with melted emmental, to the California Club consisting of avocado, roasted red pepper, feta, grated carrot, cucumber, red onion, mustard cress and basil mayo, both at £5.75. “Alex worked in as a chef in London for 10 years. 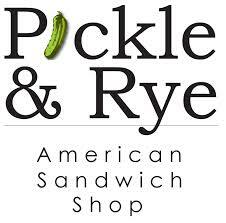 He saw a big gap in the market in lunch and breakfast, so we opened Pickle & Rye in 2010,” says Val. 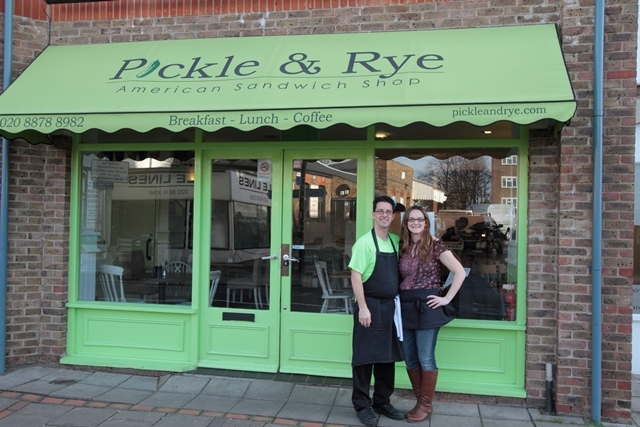 That first location, also in Sheen Lane, was small but helped Pickle & Rye make a name in the community. Since November 2013, Alex and Val enjoy new corner premises near the station with over 38 seats and are able to better accommodate their growing customer base. 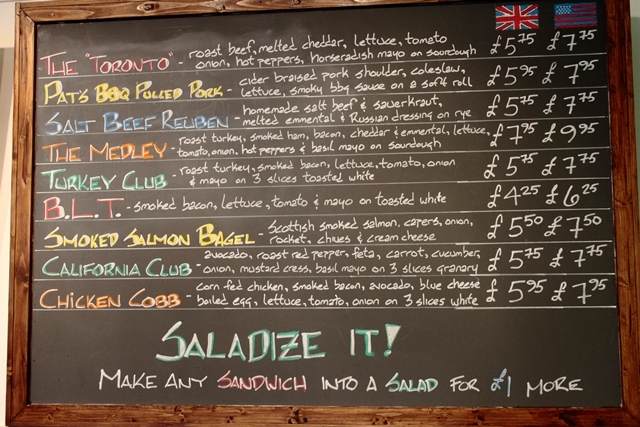 “Our meats are perfect for breakfast… streaky smoked bacon, salt beef, smoked ham! We are so excited to be able to offer hot sit-down breakfasts all day every day in the new shop,” says Val. In true American style the breakfast menu includes a 3-egg omelette option where you can pick from a variety of ingredients, accompanied by breakfast potatoes they call ‘home fries’ and sourdough toast – £5.95. Feeling like something more substantial? You can order the New York Scramble which consists of three eggs, salt beef, home fries, cheddar, and sourdough toast. 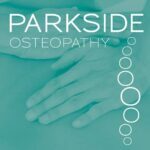 “People can’t get over the buttermilk pancakes – I’ve seen young children polish off a stack all on their own!” says Val. Other breakfast items include bagels, eggs benedict, and French toast, and they just recently added oatmeal to their Monday-Friday menu. The couple’s American roots are echoed in the décor. A huge US flag is painted along one wall. All the photos hanging around the shop are of Chicago where Valerie worked for five years before meeting Alex while on a backpacking trip to London and Europe. There is also an expanding collection of 38 baseball caps from America and other places around the world. “Our customers bring them back for us – we love it!,” said Valerie. 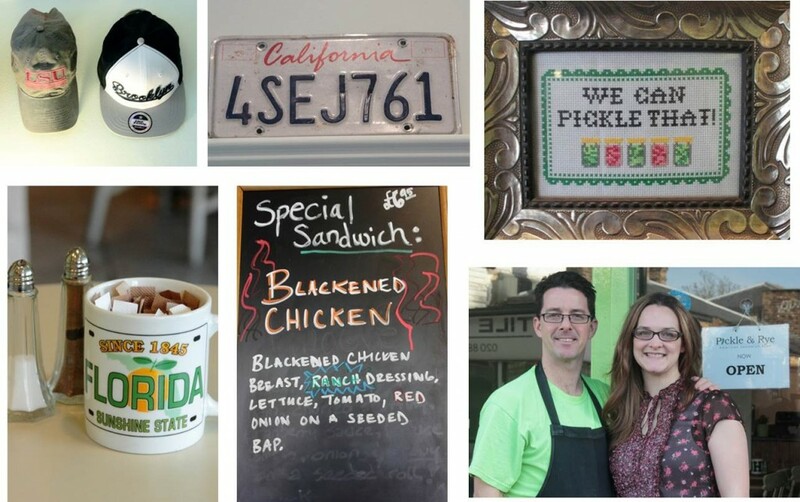 Pickle & Rye is open seven days a week, from 7am – 4pm weekdays, and 10am – 4pm weekends. As they say in America, Pickle & Rye seems to have hit the spot. So much so that Valerie and Alex – whenever they have a minute to themselves – are already dreaming of opening another branch, possibly in Chiswick or Richmond.